When you’re working on a film set, you see the cast and crew more than you see your family. You work long hours, eat all your meals together, and usually go to the bathroom ten feet away from where people are shooting. It’s like a bacterial breeding ground for awkward moments. The behind the scenes stories on this list are full of embarrassing exchanges, awkward conversations, and a lot of bodily fluids. Seriously, it’s like actors and actresses aren’t taught how to properly use the restroom. You’ve probably heard some of these awkward on-set stories, but most of them were hidden in the deep recesses of Hollywood lore until now. Prepare to cringe at these very awkward and true stories of things that happened on set. Everyone loves awkward celebrity stories. It makes the people on the screen seem that much more real. They can’t be that different from us if they also peed their pants in front of a hundred people, right? The stories on this list are full of the worst moments from every anxiety dream you’ve ever had. From falling down while dancing to flashing someone you respect to having your boss yell at you in front of everyone, these stories are so painfully embarrassing that you’ll wish we made them up. Which story of on-set shenanigans is the most awkward? Are there any that made you tense, even in the privacy of your own home? If so, let us know in the comments. Everyone's favorite set of talking abs proved that he's just like the rest of us when he totally face-planted in the sand while filming one of Baywatch's classic slow motion running scenes. That should take him down a peg for about ten minutes. Oh yikes, you guys. Back when Alison Brie was filming Mad Men, she had a major wardrobe malfunction during a bathroom break and soaked her vintage dress and girdle with pee. Apparently that's a thing that happens a lot. 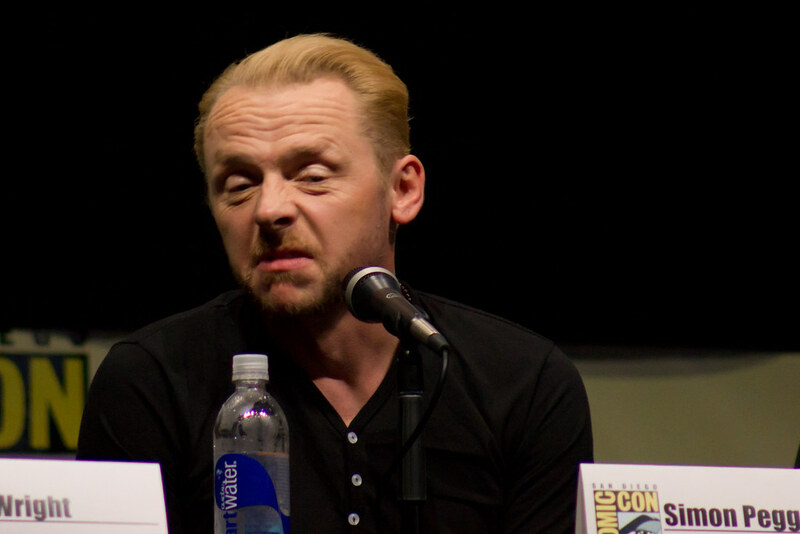 While filming a scene in an old nuclear reactor for Star Trek: Into Darkness, Simon Pegg devised a prank that saw most of the cast and crew putting "neutron cream" on their faces to protect them from the "ions" that were in the air. The prank went swimmingly until Benedict Cumberbatch got to set and got WAY too into the whole ions thing. Pegg finally had to break the news to him in front of everyone. Ugh, no thanks. On the set of Crazy Ex-Girlfriend, Rachel Bloom was filming a scene that involved folding a set of towels, and when she had some trouble with the task she said to her prop master, “This is the worst acting I’ve ever done.” To which the prop master responded, "No.” Ouch.